I have a huge compulsion towards cauliflower. The fusion of cauliflower and potatoes is magical and I don’t think there can be any other vegetable that could replace cauliflower. 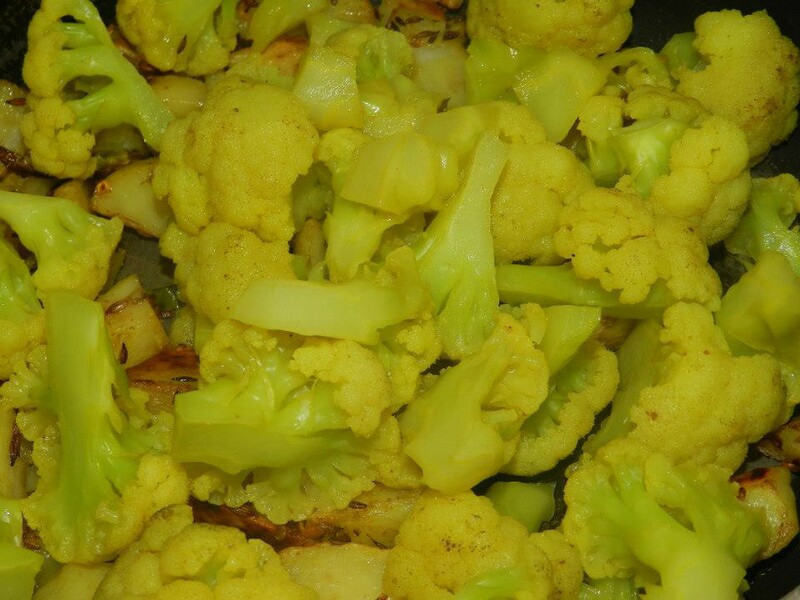 Of course, broccoli, of the same family as cauliflower could be used, but not up to a level of satisfaction. 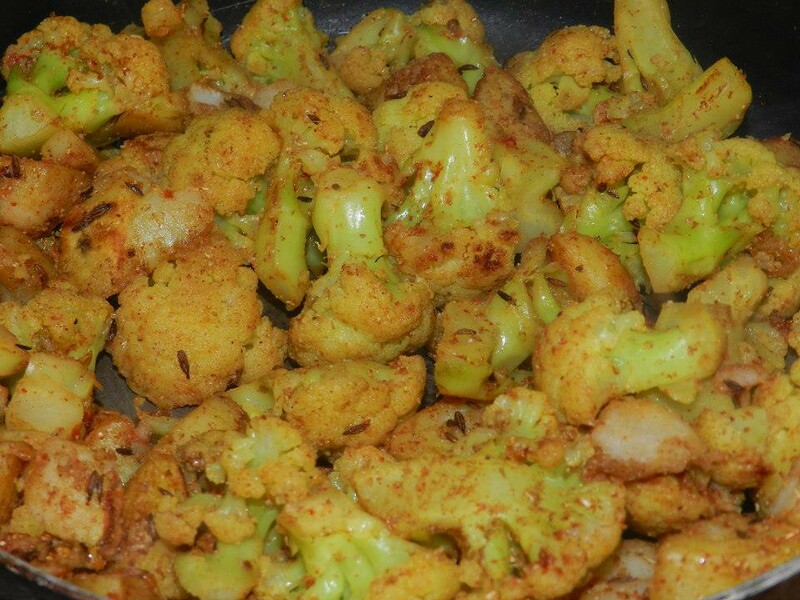 Cauliflower has low fat content and since it is from the family of cabbages, it has high fibre as well. 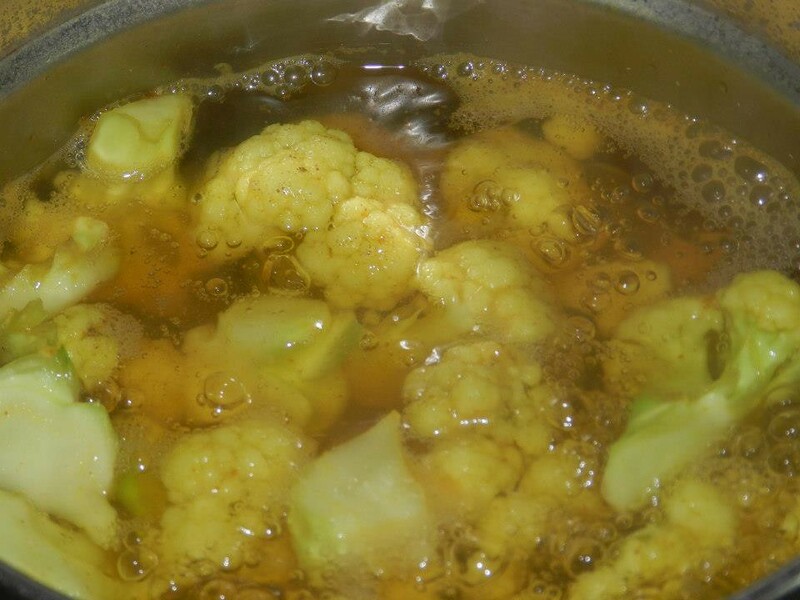 I’m always happy to cook and eat cauliflower as it possesses positive nutrients. 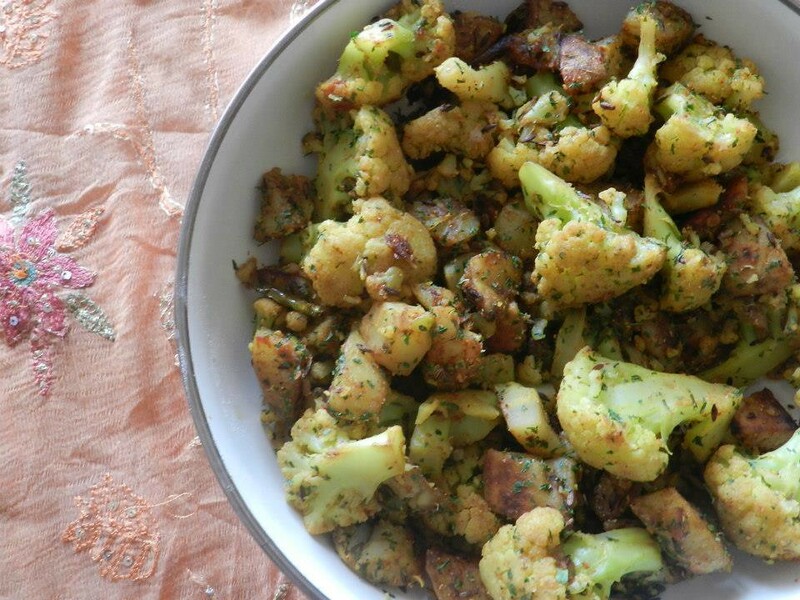 Aloo Gobhi is a traditional recipe in the northern parts of India and in countries like Nepal and Pakistan. 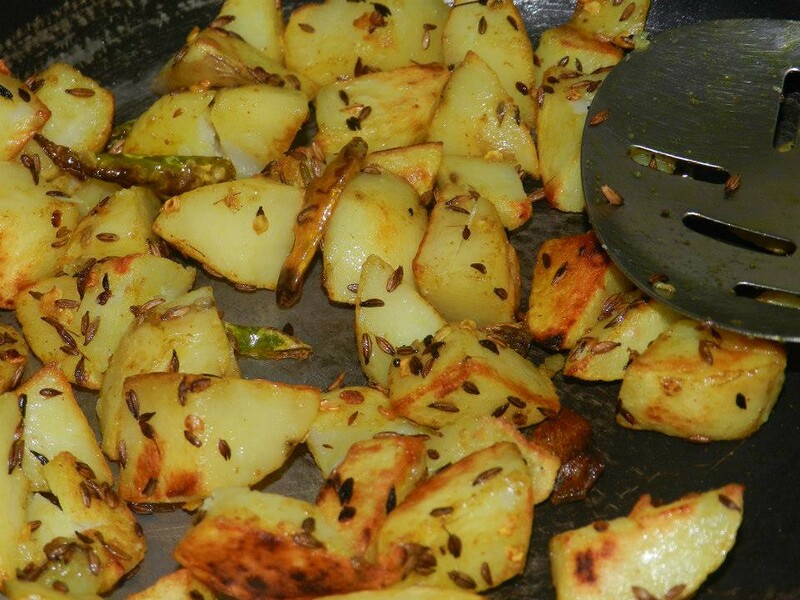 There are numerous versions of aloo-gobhi. Mine is a sentient recipe. I had even offered this dish as Naivedyam during Navarathri. I love this with a simple sambar or rasam and trust me, this tastes even better with curd-rice. But I find it rather strange to say this, because sambhar and curd-rice are from southern India and Aloo Gobhi is from the northern. Still the fusion is wonderful here. 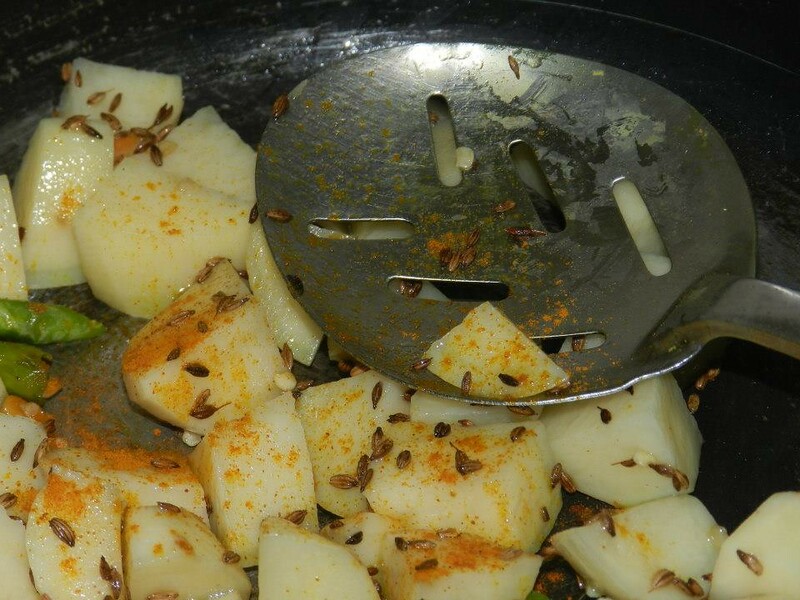 I can still recall myself relishing every bite of aloo-gobhi with rice and Vinay emptying the whole bowl of it without giving me any notice. Aloo Gobhi is one of those recipes which every single soul must savor at-least once in a lifetime. There is something about this preparation which cannot be explained by way of phrases and lines. 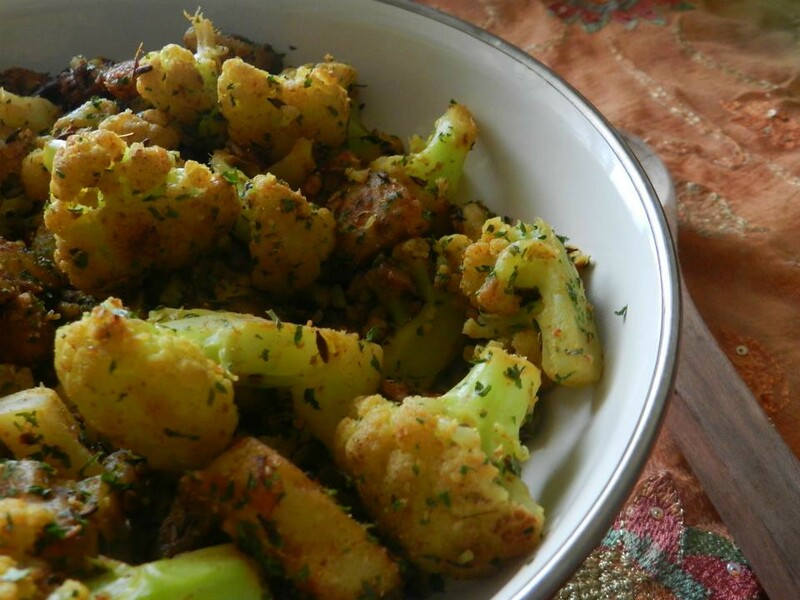 Aloo Gobhi is a dry stir fried preparation of potatoes and cauliflower florets. It is generally given a cumin tempering and enhanced with spices. Step 2: In a wok, heat oil on a low flame, add in the cumin seeds and green chillies. 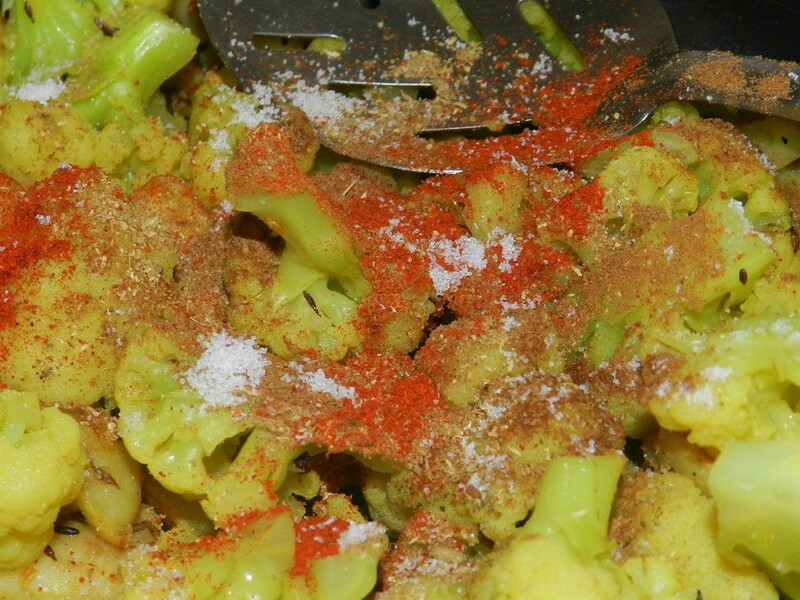 Fry for 3 seconds and add in the diced potatoes and turmeric powder. Stir fry these potatoes and cover this with a lid for 10-12 minutes. Keep checking the potatoes in between to avoid burning of potatoes. Step 3: After 10-12 minutes the potatoes will be soft and they look like this. Step 4: Add in the cleaned cauliflower and mix gently. Keep this covered for another 5 minutes. Pingback: Food For Joy! 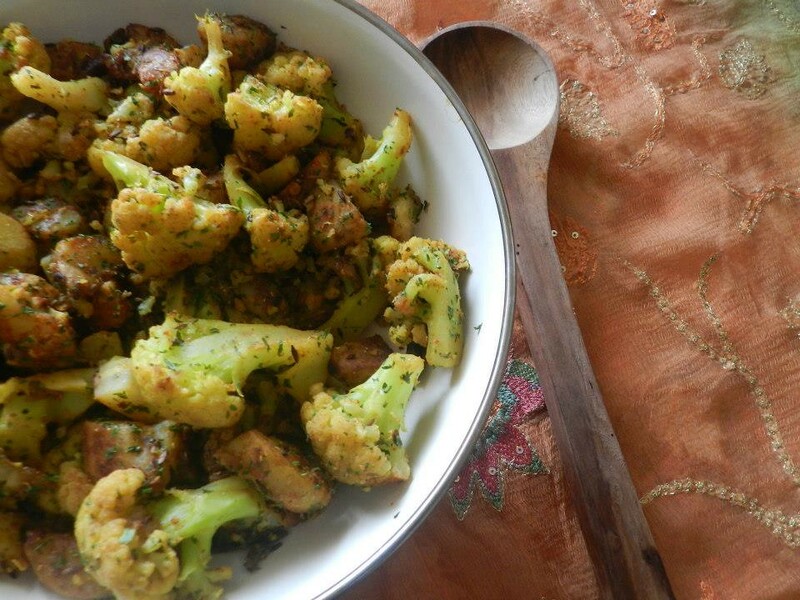 Stir Fried Cauliflower - Food For Joy! Divya: Thank you :) That was a nice one. Ranganatha: Thats great. Never knew this could pacify illness as well :) Thanks for the feedback. Gopal Muddanna: Thanks. :) Its not floating. I’ve kept it on a black surface. If you look closely you can notice the granite’s texture. Was feeling sick today an i made this for my brunch. it was totally good. just made it with half a gobhi and used some cooked potatoes. although i din hav coriander and cumin powder. jus used plain gram masala and chilli powder and it was great. i made it gravy like. i felt so comfy eating it with chapathi. thanks thanks so much for this amazing recipe. i feel blessed after eating this. loved it. Me too loves gobhi!! This looks damn good and loved all the colourful pictures madam!!! Specially the floating gobhi. How the hell did you do that.? This looks like the ones we get in restaurants. 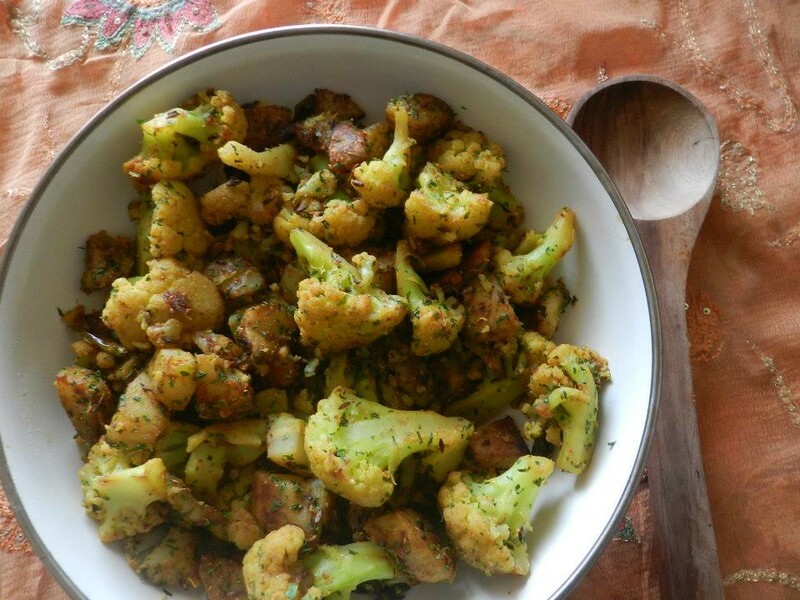 Looks great and your gobhi looks perfectly cooked. 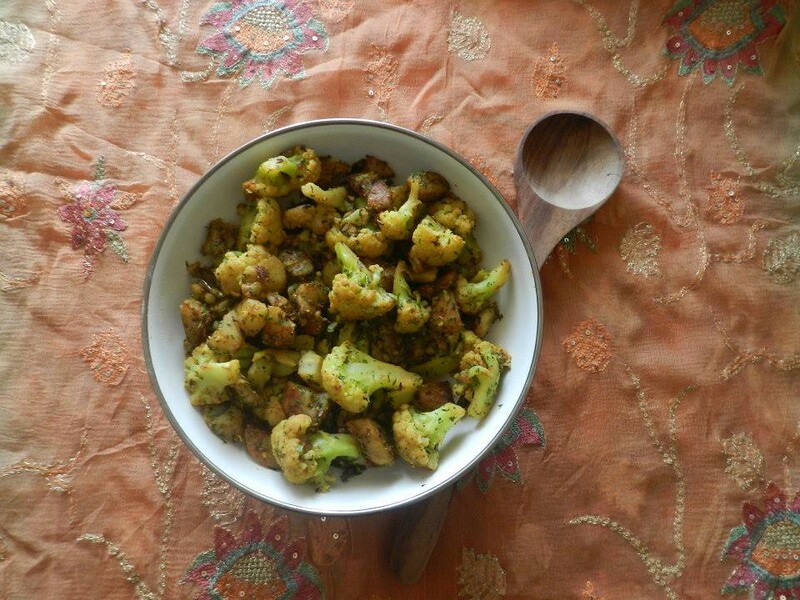 Mine gets mushy every time I make alloo gobhi. 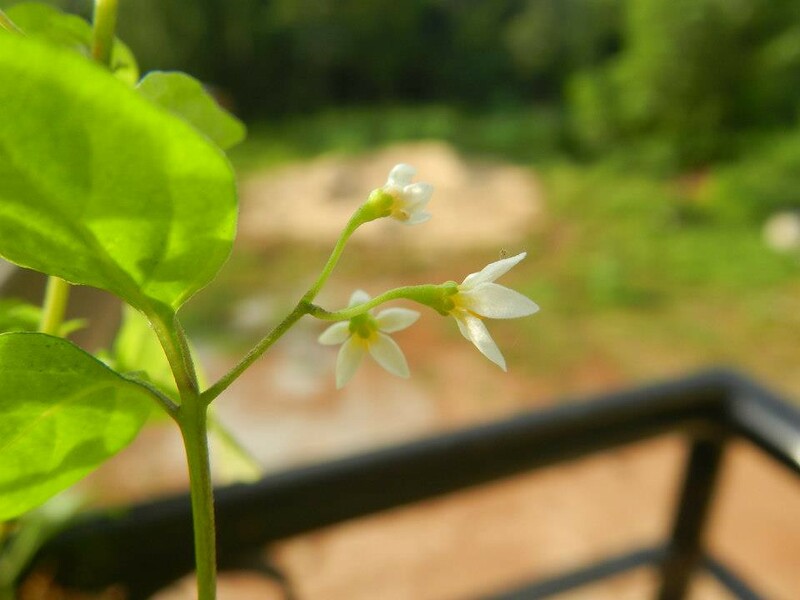 very pretty pics.